In our last blog, we wrote about the top 10 movies you should watch before your first trip to China. While many of the movies on that list offer accurate depictions of their subject matter there is nothing like a good documentary to give you a real insight into a destination you are planning to visit. 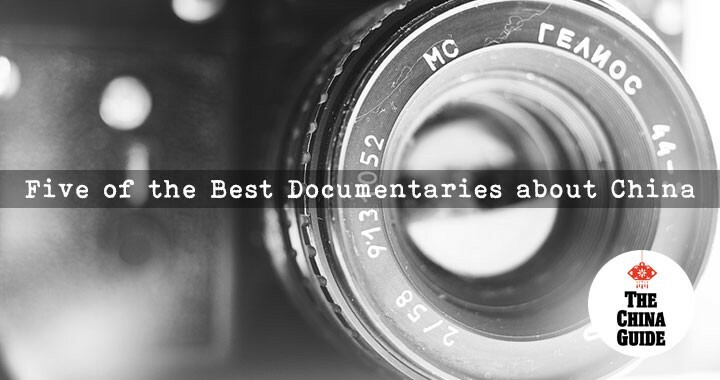 Many excellent documentaries have been made about China, chronicling everything from sweeping natural landscapes to the smallest details of everyday life. These are just five of our favorites. If you have a yen to visit China’s natural wonders, then this is the documentary for you. A six-part series co-produced by the BBC and China Central Television, Wild China takes you on a journey through some of China’s most stunning scenery, from the Yuanyang Rice Terraces in Yunnan Province to the wind-swept Mongolian steppe. It also focuses on the relationship between the Chinese people and the wildlife that lives in these areas. For example, one scene shows macaques jumping into a swimming pool at a hotel in Hainan. The documentary is coming up for 10 years old but the locations and the underlying message of the importance of respecting and preserving nature remains unchanged. Prepare for your mouth to start watering when you watch A Bite of China. This beautiful series, produced by China Central Television in cooperation with more than 30 of the country’s most respected filmmakers, attracted unprecedentedly high numbers of viewers for a program about food, both inside and outside of China; a writer for the Guardian called it “one of the best [food programs] ever made.” The series charts the history of food, eating, and cooking in China through themes such as “The Story of Staple Foods” and “Gifts from Nature.” There are two seasons and if you watch only one, make it the first, as the second is not quite so well-executed. The Three Gorges Dam is one of China’s modern man-made wonders but its success didn’t come without a price. Following the construction of the dam, approximately two million people throughout the Yangtze River region were forced to resettle by rising water levels. Up The Yangtze tells of the story of one such family, whose daughter is forced to get a job on one of the fancy cruise ships plying the rising river to support the family as their rural home is engulfed. A poignant, beautifully-shot portrait of the struggles of life in China in the 21st century. China’s annual Spring Festival migration - when millions of Chinese people head to their hometowns to celebrate the holidays - is widely reported on in the Western media (complete with mind-boggling statistics) but often these reports fail to give the phenomenon a human edge. Lixin Fan’s documentary Last Train Home does the opposite, tracking one couple over the course of several years as they make their annual trek from Guangzhou to their home in Sichuan Province. The documentary paints a rich, at times starkly affecting, picture of the life of migrant workers in modern China, for which it won Best Feature Documentary at the 2009 International Documentary Film Festival Amsterdam. If you would like to visit any of the places depicted in these documentaries, get in touch with our travel specialists now to start planning your trip.